The Sally McKune quote is from: Frederic G. Mather (1844-1925), “Early Days of Mormonism”, Lippincott’s Magazine 26:152, (Philadelphia: J. B. Lippincott, Aug. 1880), p. 202. 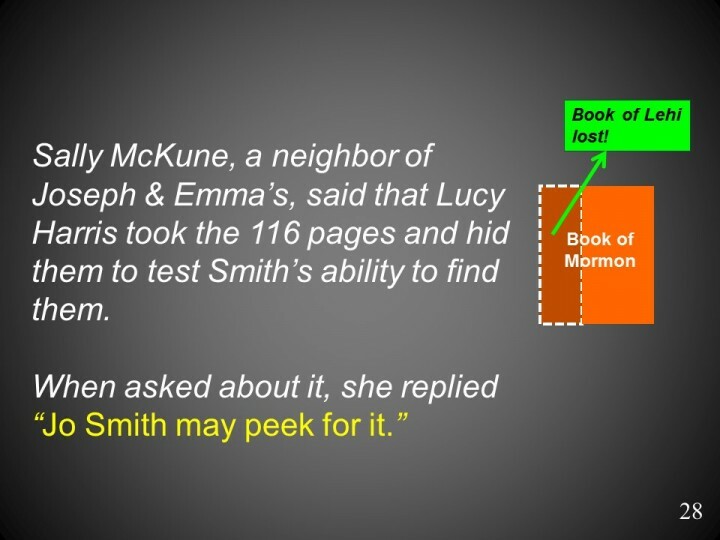 The Sally McKune quote is also cited on p. 188 in “Who Really Wrote The Book of Mormon” by Cowdrey et al., (2005).